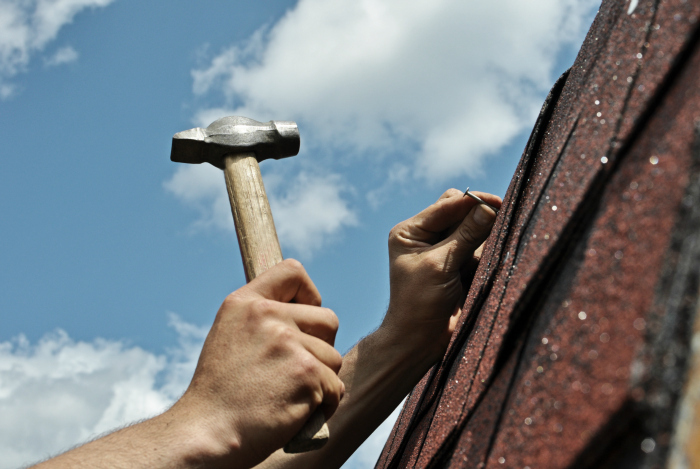 Home selling tips: repairs to make before listing your house. I’m not selling my home. Well, I’m not selling my home right now. I do, however, dream of selling my home. Often. Perhaps it’s my age. Or my kid’s ages. Or the age of my home. Or the recent billion-dollar Powerball drawing that filled my head with dreams of what I would do with that windfall. Starting with selling this house and buying new. Oh, and my home selling dreams include a For Sale by Owner sign out front. It must be the DIY’er in me, always looking for ways to save. And saving on real estate commissions would be big plus. Turns out I’m not alone. In fact, according to a survey by Owners.com, I’m among the 74% of people who find ‘saving money on commission’ the most appealing part of selling your own home. complete with all the old home repairs needed before we can put our house on the market. And then there’s the questions about what repairs to make. There are so many to choose from. And they’re mounting with each passing year. 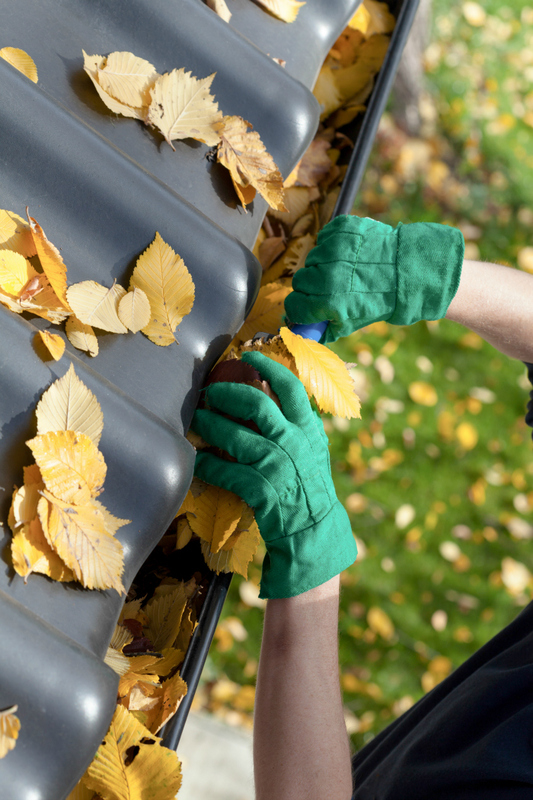 I don’t need to go outside to inspect my gutters to know they need to be cleaned and aligned. And I never even thought about painting them! Let’s see. 100+ year old foundation. Water issues in the basement. Yes, cracks will be found and repairs will be needed. One plus of living in the city is no driveways. But, if I did have one, I would definitely clean it to up the curb appeal. Our house could absolutely use a good power wash (on my Spring cleaning “to do” list) and the trim could use a new coat of paint (not on my Spring cleaning “to do” list). This wasn’t even on my radar for a fix. Thanks Owners.com for the tip! This is a diy I can tackle myself – and have in the past. We’re about 75% good on this one. And we do hire out. 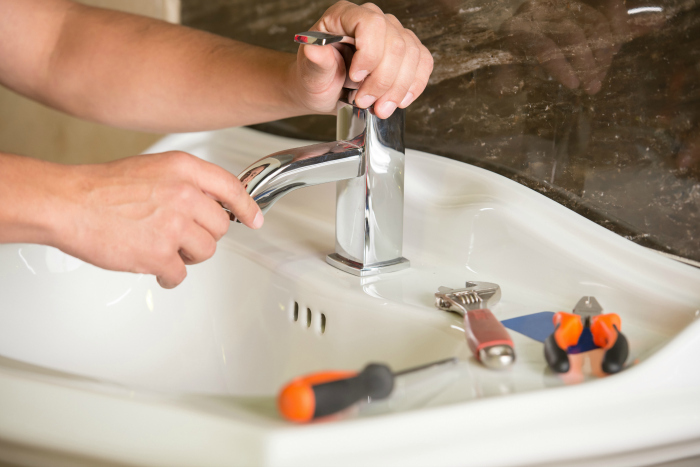 An old home equals old plumbing so we prefer to call in the professionals. We have casement windows. They are annoying. The screens are flimsy and bend easily. This has been an ongoing struggle in our home. We would definitely need to update all screens. Sigh. I see a lot of primer in my future. The navy living/dining room walls and bright orange teen bedroom are top of the list. Luckily it’s an easy and affordable diy. 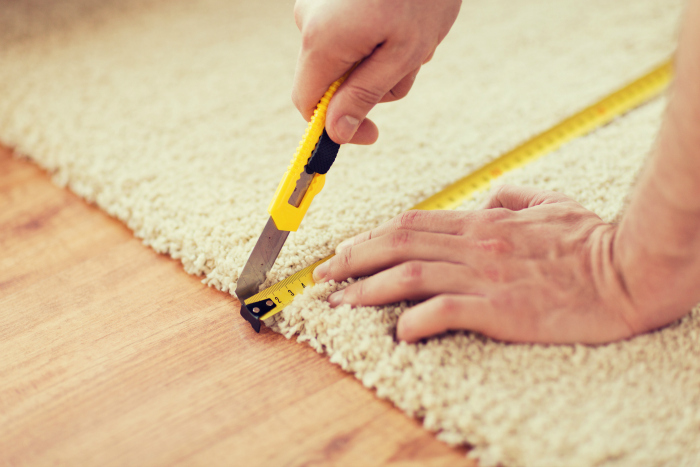 We don’t have much in the way of carpeting, but what we do would absolutely get an “ew” if we were ever on House Hunters. 12. VisitOwners.com for even more advice and tips on how to prepare your home for sale. Owners.com offers a unique option to selling your own home. If you look at the real estate market today, you have the option to go with a full service broker or attempt to manage a For Sale By Owner process. Owners.com is different from both models; it is a fully licensed brokerage that offers a choice for you to do some of the transaction work yourself, while also providing advisor support for more complicated or daunting tasks (like appraisal and legal documents). Bottom line: with Owners.com, you can avoid unnecessary commission payments (typical sales side commission is 3% of the real estate transaction). You’ll pay a flat fee of $695 when selling your home with Owners.com which means on a $300K transaction, that savings is $8305. Owners.com: 1; Linda: 1. A win/win! This post was written by me on behalf of Owners.com. I receive compensation for this post, but all opinions about home selling, home repairs, and Owners.com are 100% my own. For more, see my disclosure policy here. I feel you–there’s so much left to do in our old house that we will be here until we die. Then it becomes someone else’s problem. Great post…many of the items are on my to-do spring list. I find the neutral wall thing so annoying but I know from watching HGTV that so many people comment about not liking the wall colors- then paint!! How many people really find a house where everything is to there liking. When we moved into our house every room had been freshly painted and we re-painted every room but one. Sometimes I fret thinking I can’t sell our house immediately (not that I want to) because we are in the “in progress” stage. Like sanded but not painted walls, no countertops in the kitchen and so on. I have to up my game! Thanks for sharing all of these quick tips! Once my daughter graduates high school we plan on trying to sell and move so these were very useful. While we don’t plan on selling our house anytime soon, I remember a lot of these being things that turned me off from potential home when we were house hunting – there are all great things to keep in mind for everyday maintenance as well! Short, precise and on topic. As a person employed to do occasional domestic repairs and minor renovations I do home maintenance and repairs for a living and I can confirm that you have literally listed the most important tasks a home owner should consider, when on to a sale. Personally I have some doubts, that a DIY lover could handle each and all of these repairs Alone, or at least not in an efficient time span, because a few do require at least a dash of handyman know-how and experience, but this is still pretty tight and on topic, which imho is where every home owner should start from. Thanks for the tips! We are in the process of repairing things on our house in order to sell. I hadn’t thought about the gutters. WE are in an older home too, and there are so many repairs, from dry-rot to leaks. By the time we are done, we might just want to stay! It’s true, this might be a lot of work, but it will be worth it. Your tips are perfect. 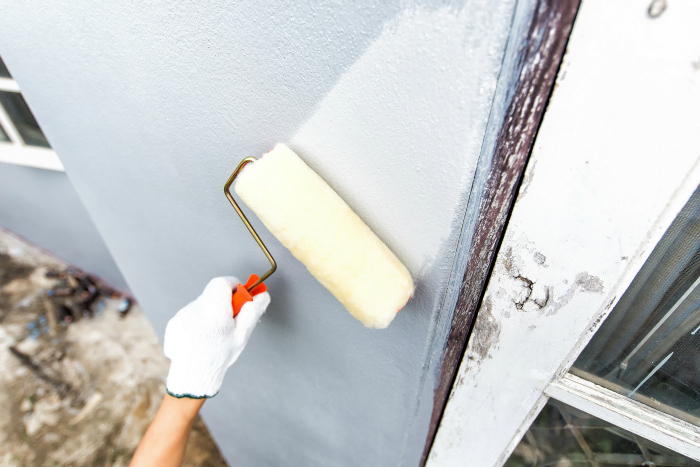 A little elbow grease and effort will up your home’s sell-ability. You’ll most likely sell quicker and for a higher price! Great post! just in time for Spring. Surface refinishing is also a great solution to repairing countertops surfaces, showers or bathtubs. 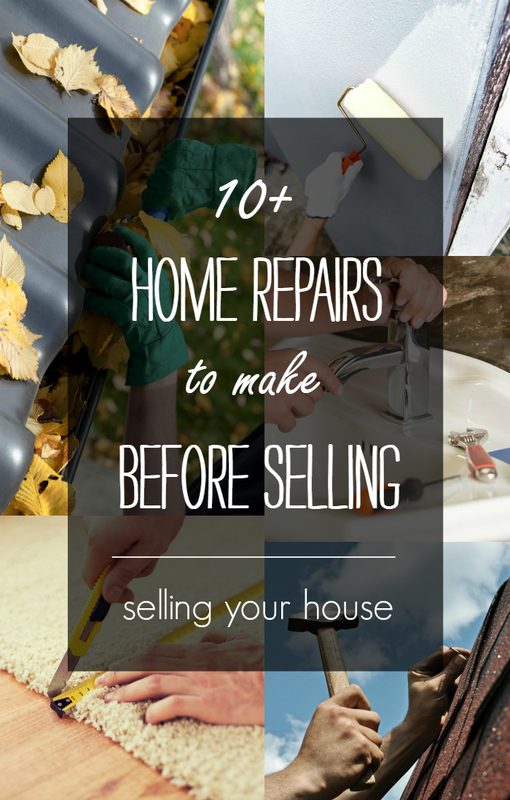 Great tips for home repair before selling, short but detailed. Thanks for your tips. I am trying to sell my home since my husband died . It was a relief to know that I have done most of these things so at least I am on the right track. So glad you found it helpful! I’m so sorry about your husband. I hope you’re okay.